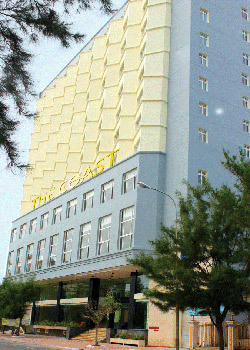 Ideally located between the Thuy van Beach & Tao Phung Mountain. The Coast Hotel offers a great panoramic view of the sea & mountain. Especially just 2 minutes walking distance to the Thuy Van beach ( Bai sau ). The elegantly designed rooms and the most warmly - hearted hospitality services will meet the needs of any discerning travellers.